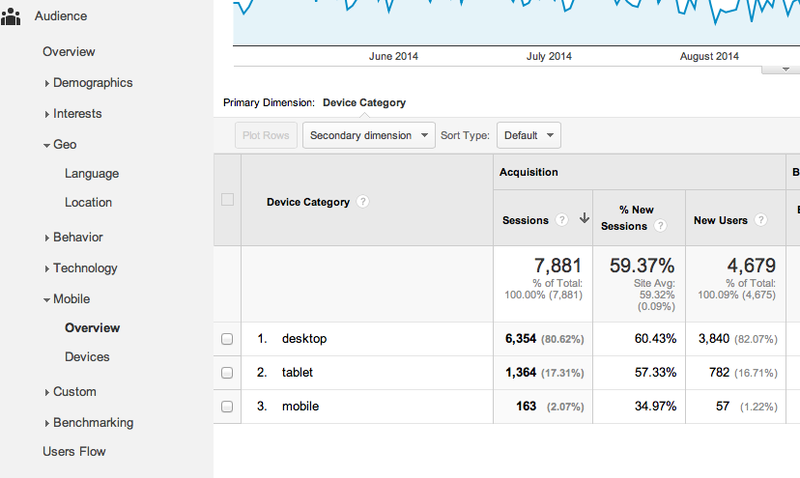 So in my first post I gave an overview of Google Analytics basics, showing you how to set it up and how to navigate the reports. If you haven't already read that one then I'd suggest popping over here first as this post assumes you have knowledge of the basics. In this post I'm going to go through some of the reports that I think are most useful for bloggers, as well as showing you how to save and schedule reports for easy monitoring. 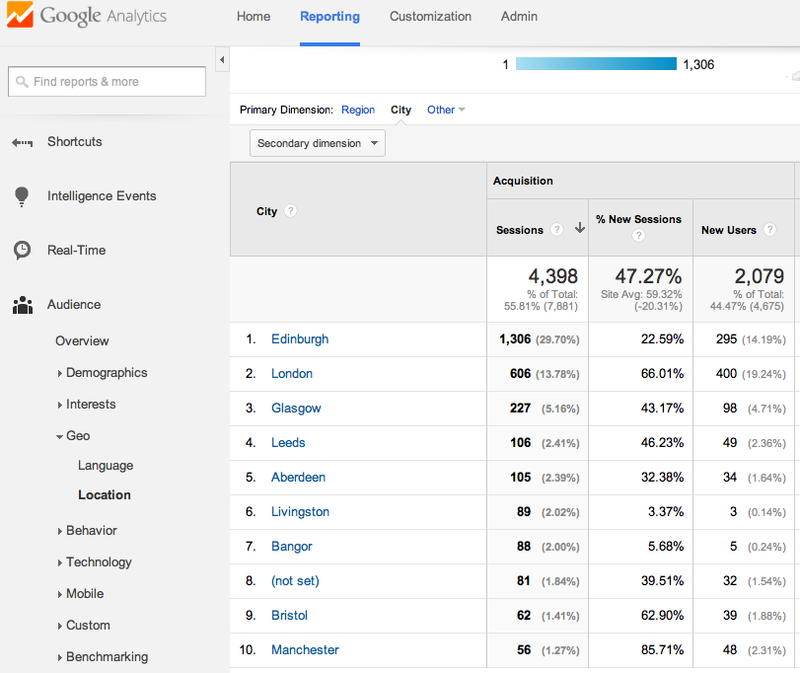 One of the most interesting things that Google Analytics can show you is how people are finding your blog/website. This can help you see what sources are working well for you (e.g. 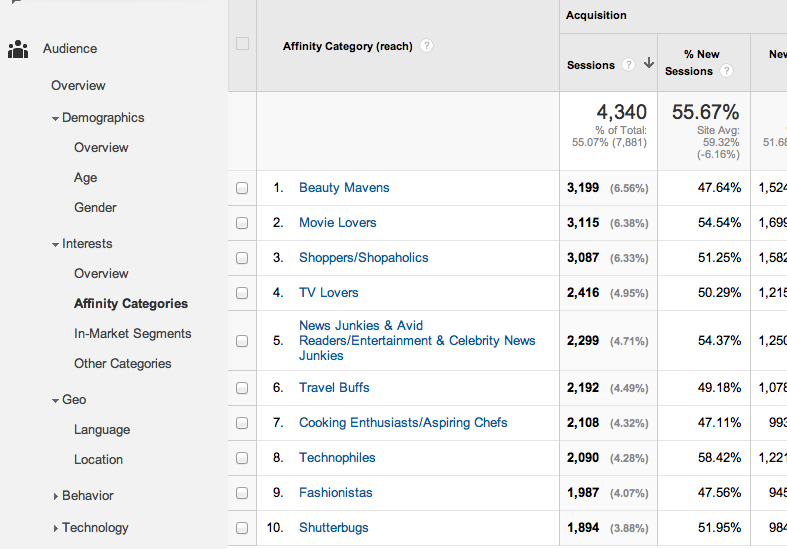 which social networks are driving the most traffic) so you can plan how to best promote your posts going forward. T.co is Twitter by the way. You might also find sites here that you didn't even realise had a link to your blog. You'll also find some random sites in here that are just robot/spam type traffic that you don't need to worry about (like the semalt.com one in mine). 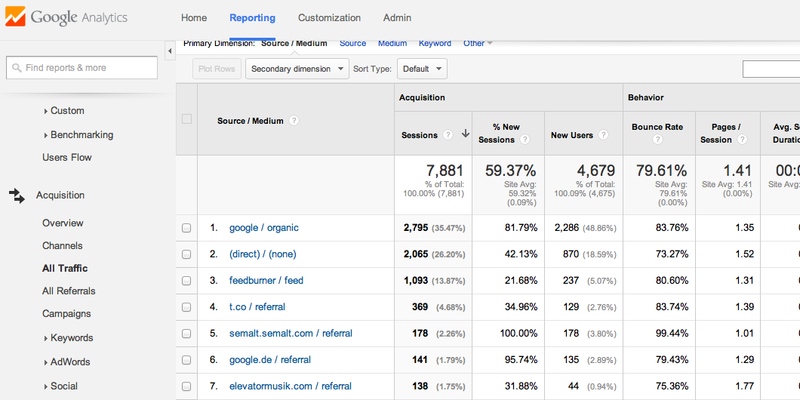 If there are any surprising results here and you want to find out exactly what page on that website the visitors came from you can use the All Referrals report (also under Acquisition) and if you click on the website in the list it will drill down and show the exact URLs. The little box/arrow symbol in each row will open that page in a new window for you. Potentially the most interesting report of them all - this shows you the keywords people looked for in search engines when they clicked a link to your blog. You'll notice that the top result here will be "Not Provided" - this is because Google now doesn't share keyword data for the vast majority of users (for privacy reasons), so the keywords you see here are normally from other search engines like Bing and Yahoo. 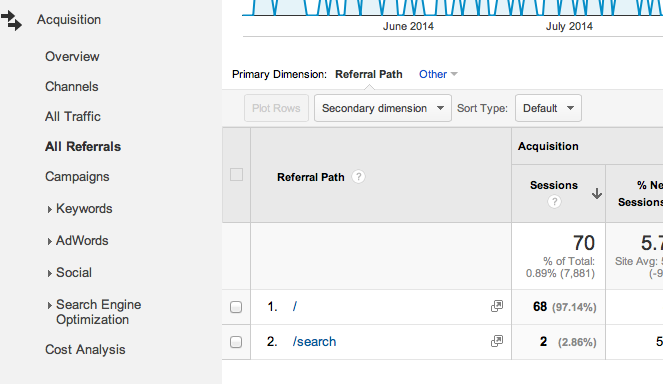 Tip - look for the keywords sending just 1 visit each, these are normally the weirdest/most interesting….! 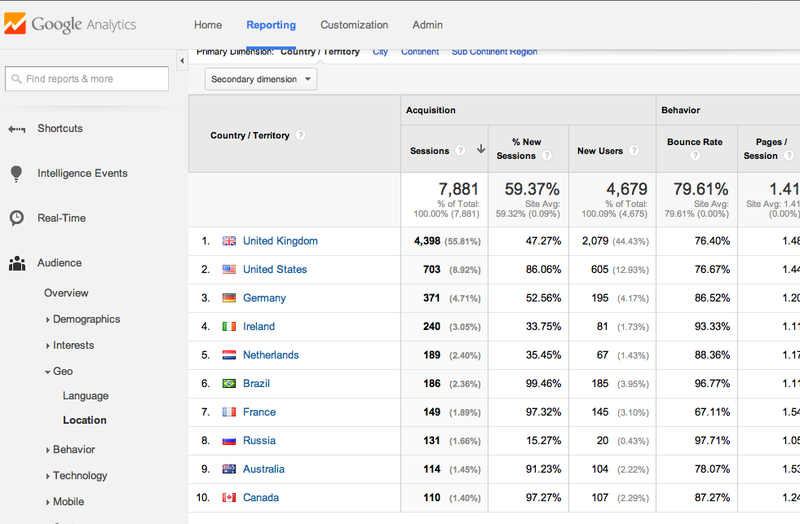 You might be interested to find out what part of the world your visitors come from, so this report will show you the top traffic driving countries. If you click on a country it will drill down to a region level, and you can change this to city by clicking the "city" link above the table. Although bear in mind that city is determined by your IP address so it's not exact. 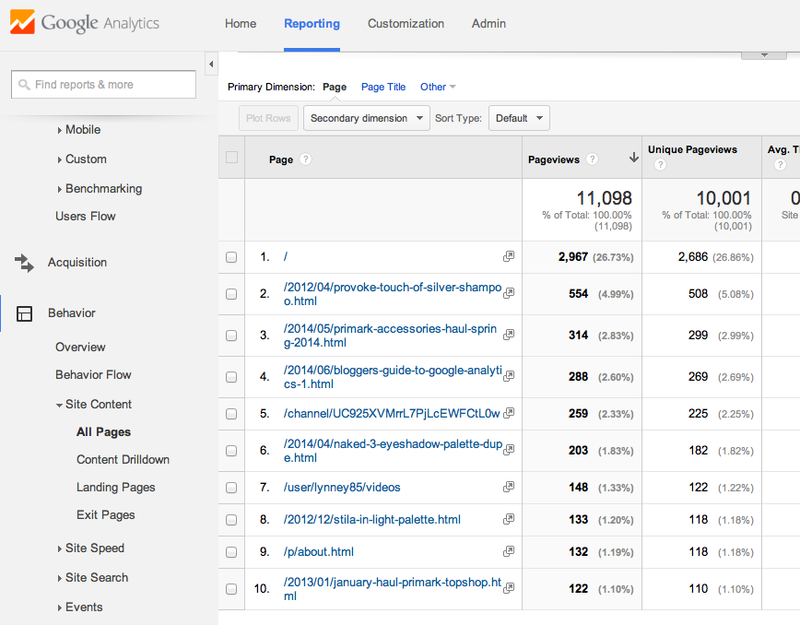 Similar to what you'll see in the posts report in Blogger, this report shows you the pages (or posts) that have received the most page views during a particular time frame. The list shows the part of the URL that appears after the .com or .co.uk bit, so the first one in the list is generally "/" which means it's your homepage/main page (e.g. in my case "/" refers to www.cocktailsanddaydreams.com). 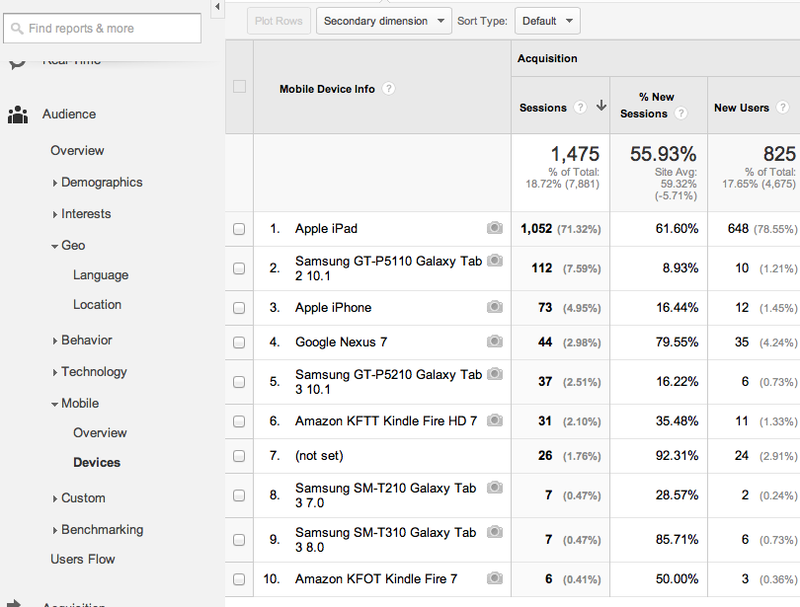 This report shows you a breakdown of the type of device used by your website visitors. The Overview report will show the split between Desktop, Mobiles and Tablets, but if you want a more detailed view then look at the Devices report which will show you the name of the device used. 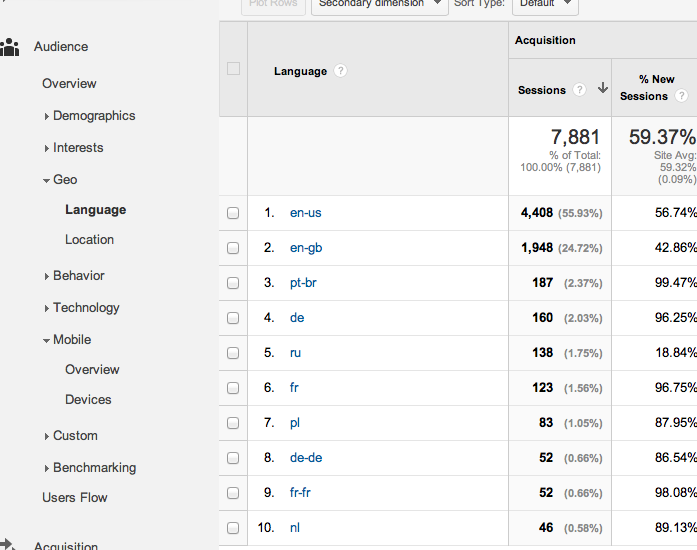 Perhaps not relevant for most of you, but if you're lucky enough to be able to speak more than 1 language and you're thinking of maybe writing blog posts in multiple languages then this report will show you the language used by your visitors so you can see if there's a potential audience there. 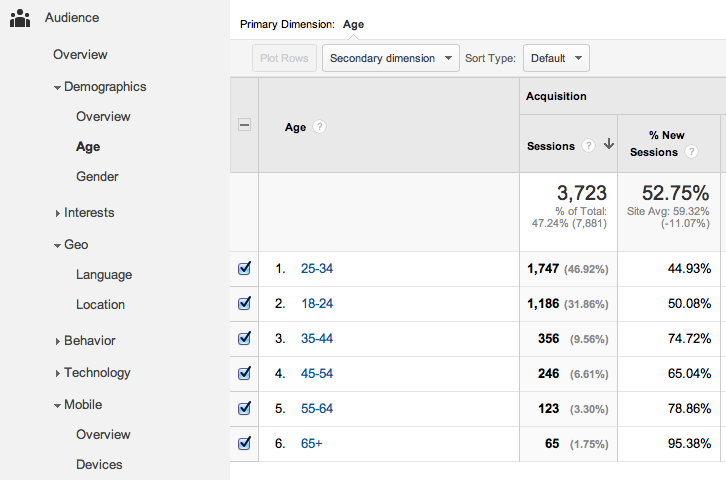 If you're using the latest version of Google Analytics tracking code (called Universal Analytics) then you'll have access to these demographics reports which will tell you the age, gender, and interests (well, categorised interests based on the type of sites they browse) of your visitors. 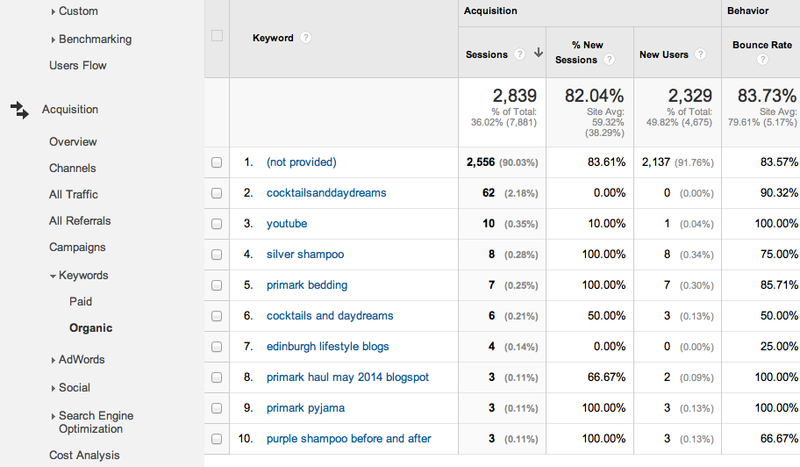 Can be pretty interesting to see a bit more about who is viewing your blog. 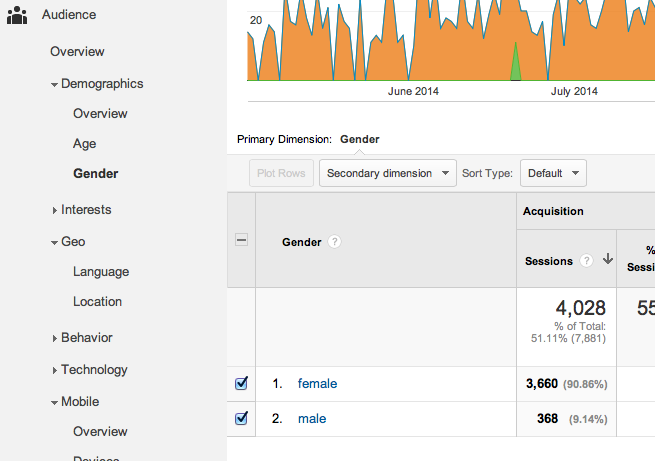 If you're regularly using Google Analytics to check on your data then there's a couple of things you can do to make things a bit easier for you. Firstly, you can use Shortcuts to bookmark the reports you use most often so you don't have to seek them out in the menu system each time. 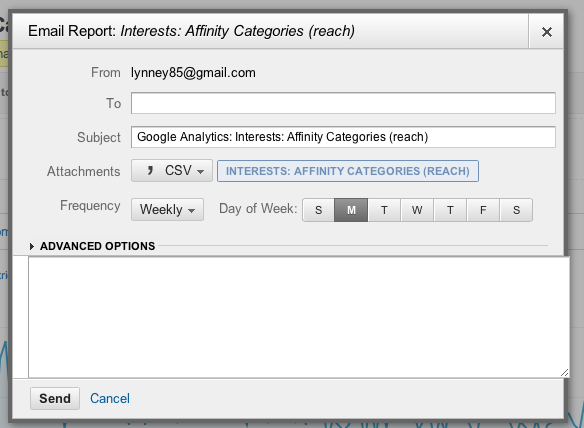 Simply go to the report you want to save, add in any filters or change the table view (e.g. viewing 25 rows instead of just 10) and then hit the Shortcut button right at the top left of the screen. 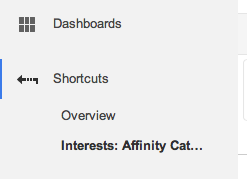 Now a link to this report will be saved in the Shortcuts section in the navigation on the left. If you want reports emailed to you on a regular basis then you can use the Email button and fill in the form to indicate how often you want it sent out (Daily, Weekly, Monthly etc) and the format you want it in (for a spreadsheet choose TSV for Excel). I really hope this was useful for you, but if you have any questions please feel free to leave them in the comments below and I'll try my best to help :) I plan on doing one more Google Analytics post which is about the more advanced features, but I'm not sure when exactly that will go up so make sure you follow my blog on Bloglovin (or follow me on Twitter) to see when it's up.